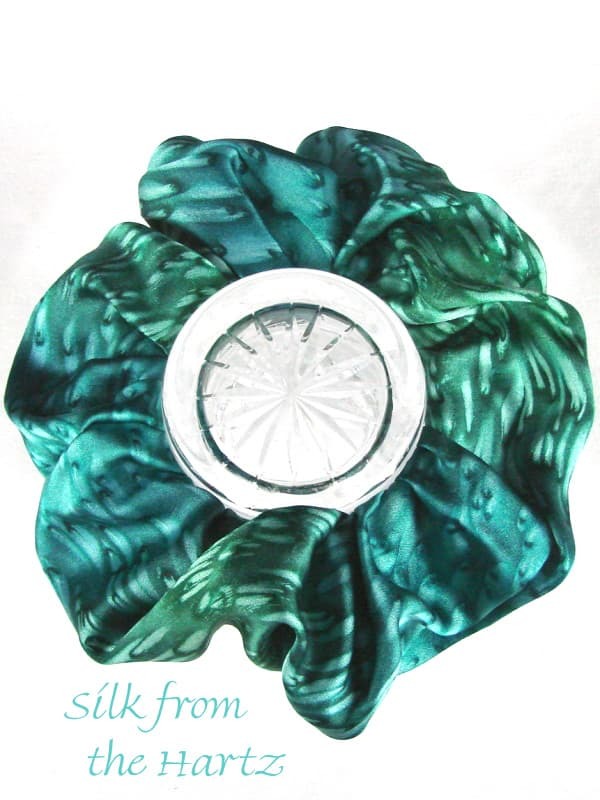 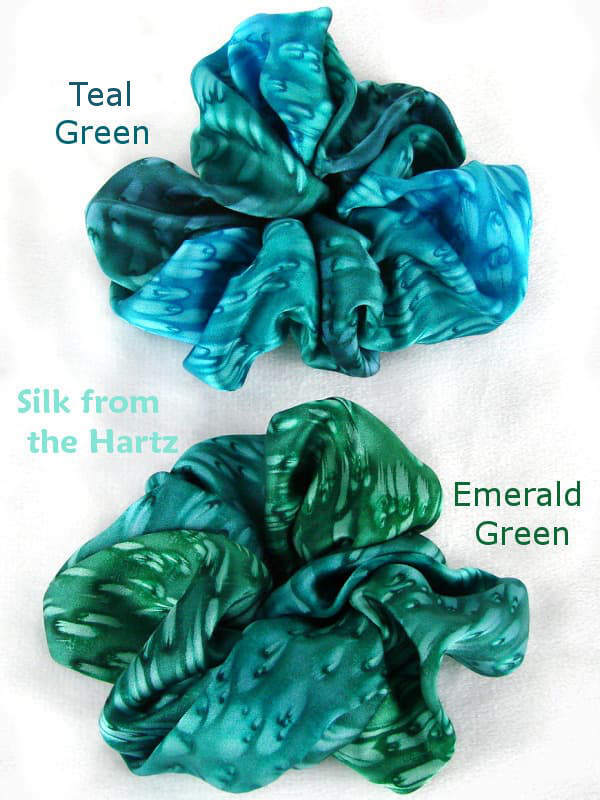 Scrunchie may be worn as a ladies designer headband by untying the elastic inside and clipping on the outside. 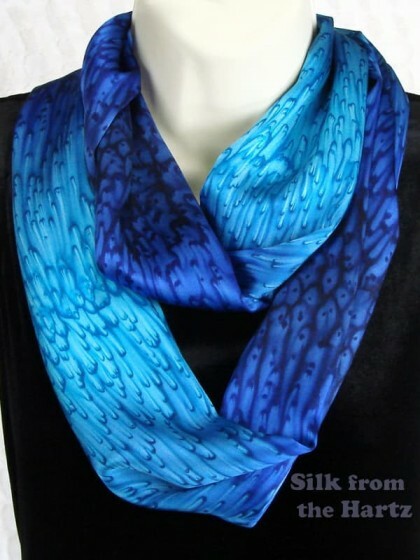 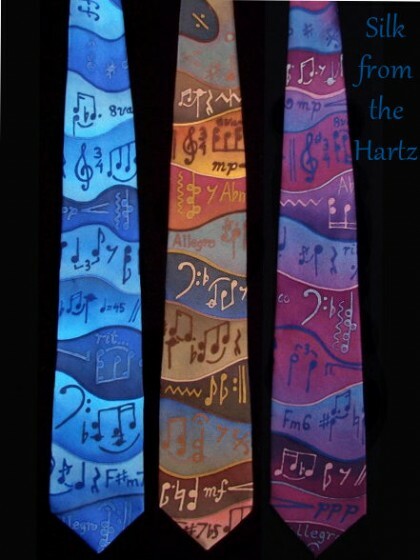 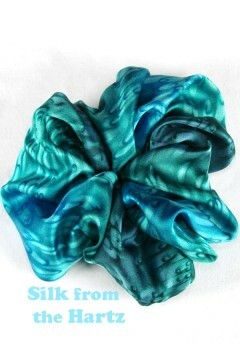 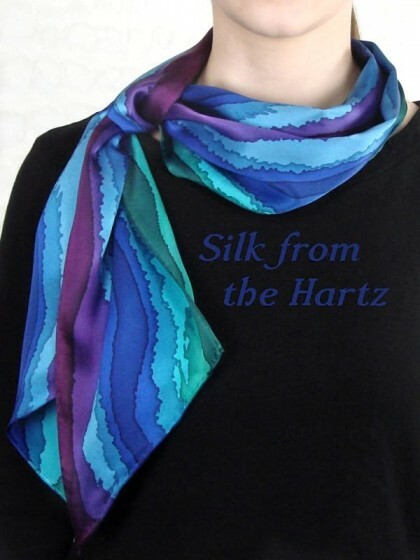 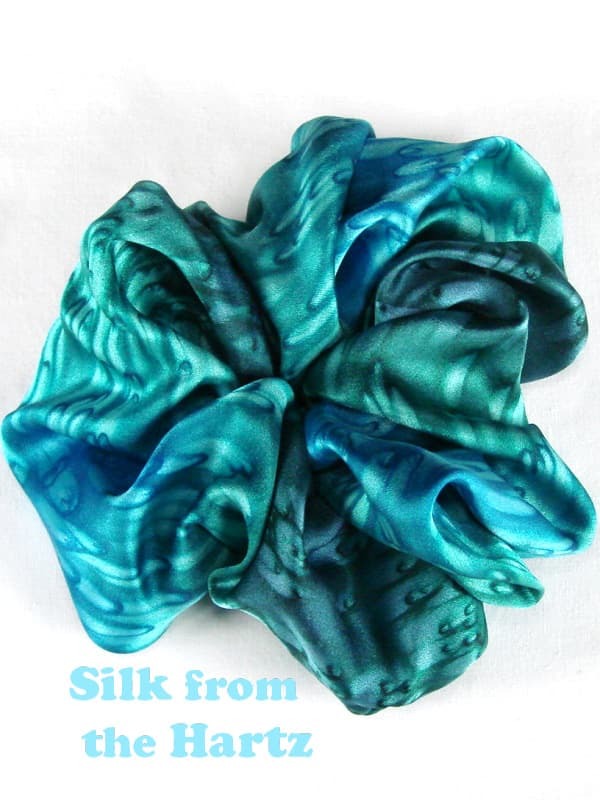 Hand dyeing makes these silk scrunchies luxuriously soft with rich beautiful colors. 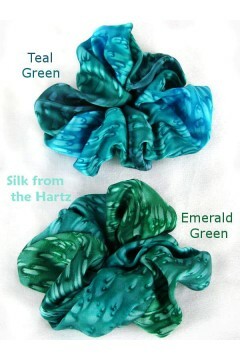 Universal and versatile green colors look good on anyone. 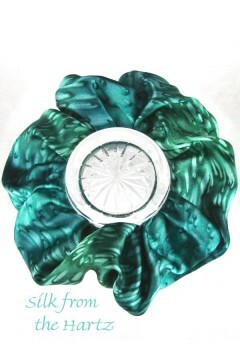 Teal, turquoise and emerald are cool, calm and bright. 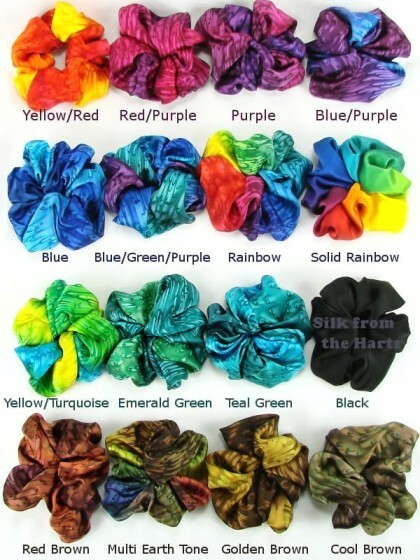 Adjustable Satin Hair Scrunchies Our large colorful satin scrunchies have adjustable elastic inside - retie th..
Eternity Fashion for Women: Delight in the rich royal blue, navy and turquoise colors hand dyed on this fashiona..
Creative Hand Painted Neckties In blues, purples, earth tone browns or custom colors, each tie is hand painted w..
Just Because I Love You Gifts for Her Hand dyed in beautiful earth tone browns and greens, rainbow colors, or bl.. 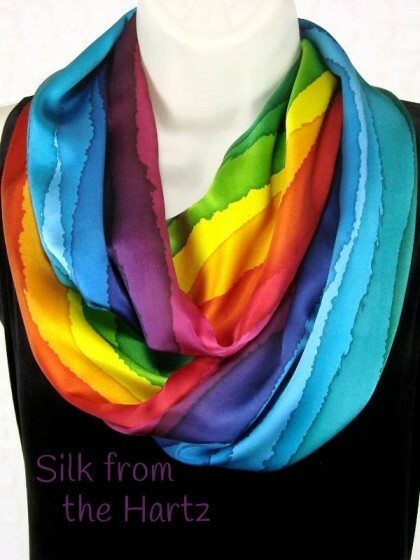 Colorful Hand Painted Silk Circle Scarf Beautiful colors of the rainbow hand painted in creative stripes of re..